3. Inhibits participation in life activities. intervention, and/or use of specialized services or programs. – The condition may be developmental or acquired and may cause limitations in performing daily self-maintenance activities or substantial limitations in a major life activity. specialized knowledge, increased awareness and attention, and accommodation. an individual with special health care needs. – It requires an understanding of the underlying conditions and knowledge of the precautions that need to be taken while delivering dental care to such conditions. – It may be defined as The improvement of oral health of individuals and groups in society who have a physical, sensory, intellectual, mental, medical, emotional or social impairment or disability, or more often a combination of these factors. 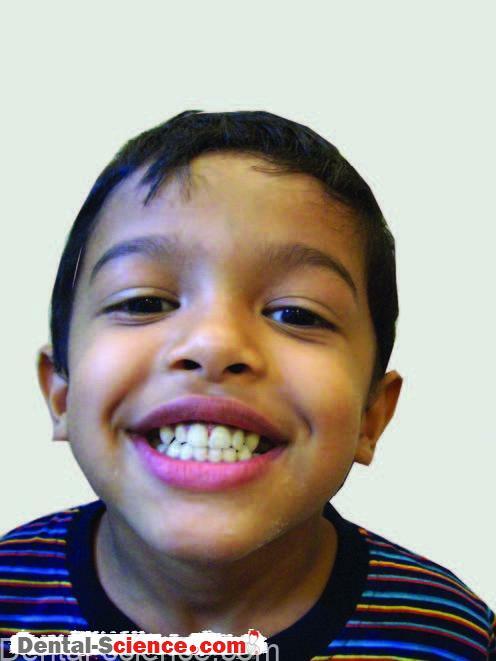 – It is often a challenge to manage children with special care needs requiring dental treatments in dental clinics. – All dental offices do not possess the necessary infrastructure to overcome such difficulties. – All clinics do not have facilities for wheel chair entries, not all are located on the ground floor adjacent to roads. – Many dental clinic waiting areas may not have a space provision for accommodating wheel chairs; the waiting room seating may not be suitable for seating some physically disabled children. – Some hyperactive children may exhibit unusual behavior such as shouting, running around, touching various objects in the waiting area and may be uncontrollable. introducing them to a strange place and thus may not be totally receptive to the dentist’s detailed explanations of the dental conditions. – Still, it is necessary for a dentist to attempt to deliver dental care to the children with special care needs. – As with any patient, the treatment of the child with special health care begins as soon as they walk; or in some cases, are wheeled into the office. – The most important issue facing the dentist is then one of access. – Access to your clinic if you are treating a child with special care needs is an issue of utmost importance. – This is often the most challenging part of access as it involves factors that are often out of the dentist’s control. – The ideal requirements of a dental clinic accessible to the disabled are difficult to achieve. – The dentist is often forced to operate from a clinic that is not on the ground floor. – Most buildings do not possess ramps for wheelchairs and remodeling the doorways of the building so as to allow access to wheelchairs is usually difficult. features in buildings they do not make these features mandatory. – However, you can cite the act to ensure that the management of the building provides you with a ramp and reserved parking for disabled patients. – Though access to the dental clinic addresses the same problems as access to the building, these problems are easier to solve. – Many of the problems can be overcome by the simple process of rearranging the furniture! severely reduce the amount of space available. – The dentist will often find it easier to widen his own doorway to accommodate a wheelchair than to alter the space available. – While the installation of features such as a chairlift may not be feasible for most practices, there are other features that are relatively inexpensive and go a long way in improving the accessibility of the dental clinic for a disabled individual. – Some of these include grab-rails or lowering the height of counters and basins. – Working on the Patient in the Wheelchair One of the simplest ways to overcome the problem of patient access to the dental chair is by providing the treatment in the wheelchair itself, without transferring the patient. – Conventional wheel chair based dentistry usually does not permit sitting down dentistry. – The wheelchair is wheeled close to the instrument tray of the dental chair and the safety brakes are applied. 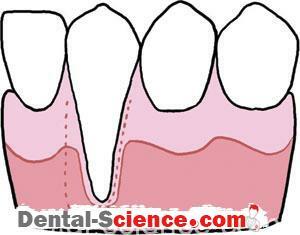 – Though greatly convenient to the patient, this form of dentistry presents certain challenges to the operator. – It may not always be possible to get adequate access because of constrains of space. a conventional chair is in the direction opposite to that of the patient. patient will not be able to reach the spittoon attached to the chair. an accompanying person than shifting any fixtures. – Lastly, the positioning of the patient is upright; this may pose a problem, especially when working on maxillary teeth, where a more reclined position is favorable. – Many of these problems may be overcome by the use of specially designed mobile dental platforms. – Platforms such as DiacoTM are used routinely by the NHS in the UK and by certain clinics across the US, Asia and Australia. – The unit consists of an adjustable ramp and an attached dental unit. – The patient remains in the chair at all times. The chair is wheeled on to the ramp and the brakes are applied. – The ramp is then adjusted to the optimal angulations permitting the dentist all the benefits of a conventional dental chair. – These units, however, are expensive and thus their use in the Indian scenario is limited. to transfer the patient from the wheel chair to the dental chair. • Reduce the patient’s anxiety by announcing each step of the transfer before it begins. • Remove the dental chair armrest or move it out of the transfer area. • Relocate the hoses, foot controls, operatory light, and bracket table from the transfer path. • Position the dental chair at the same height as the wheelchair or slightly lower. • Position the wheelchair close to and parallel to the dental chair. • Lock the wheels in place and turn the front casters forward. • Remove the wheelchair armrest next to the dental chair. • Support the patient while detaching the safety belt. • Transfer any special padding or equipment from the wheelchair to the dental chair. • First clinician: Stand behind the patient. Help the patient cross his arms across his chest. Place your arms under the patient’s upper arms and grasp his wrists. • Second clinician: Place both hands under the patient’s lower thighs. Initiate and lead the lift at a prearranged count (1-2-3-lift). • Both clinicians: Using your leg and arm muscles while bending your back as little as possible, gently lift the patient’s torso and legs at the same time. • Securely position the patient in the dental chair and replace the armrest. • Center the patient in the dental chair. • Reposition the special padding and safety belt as needed for the patient’s comfort. • If a urine-collecting device is used, straighten the tubing and place the bag below the level of the bladder. Position the wheelchair close to and parallel to the dental chair. • Lock the wheels in place, turn the casters forward, and remove the armrest. • Raise the dental chair until it is slightly higher than the wheelchair and remove the armrest. • Transfer any special padding. • Transfer the patient using the two-person transfer (see step 4). • Reposition the patient in the wheelchair. • Attach the safety belt and check the tubing of the urine-collecting device, if there is one, and reposition the bag. • Replace the armrest and foot-rests. – The simplest way for the dentist to gain access to the oral cavity is by the use of mouth props. – A mouth prop is a device that is used to keep the mouth of the patient open. – The simplest form of mouth prop is the conventional bite block; a piece of reinforced rubber, vulcanite or hard plastic, that a patient can bite on. – Some manufacturers offer disposable mouth props made of styrofoam. – The major disadvantage of these blocks is, however, their instabilty. – The child can dislodge the block from his/her mouth, thereby hampering treatment. 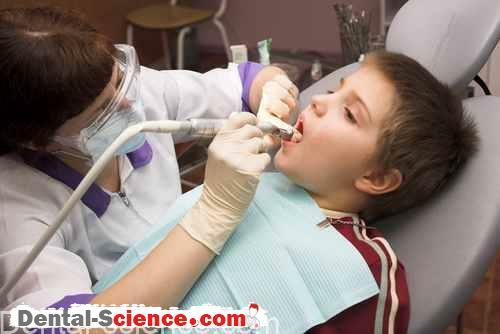 – Establishing Communication : Once the child has been seated in the dental chair, establishing communication becomes the biggest challenge to the operator. – It is important for the operator to assess difficulties in establishing the same. – This can be done by asking a few basic questions. What is the cognitive age of the child? It is important to establish whether the children can understand instructions given to them. Very often, in deaf children or some children with cerebral palsy the problem is not one of understanding but one of expression. important that all communication be carried out with the parent. Does the child have a sensory impairment? The use of an interpreter (usually the parent or cue cards carried by the child) can help the dentist achieve communication. Once these problems have been sorted out and the dentist is able to communicate with the child, the principles of communication remain the same as with any child. It must be remembered that the greatest part of communication is not in the words we speak but in our actions and the tone in which the words are spoken. 6. Legal and ethical issues in the care of children with special care needs. prepared, followed and appropriately revised. – Following are a few general guidelines in designing such a protocol. A. Most of the mentally challenged children do not readily cooperate for initial examination. It may be a good idea to meet parents first, understand the nature and extent of disability and current dental complaints and then call them for the dental examination. B. Necessary assistance should be provided for the entry and exit of the child and the person carrying/ accompanying him/her. Too bright a light may also not be liked by the child. D. The best physical restraints are those for which parents can assist; for example, a small child sitting on the parent’s lap, the other parent holding the child from behind or on the left. 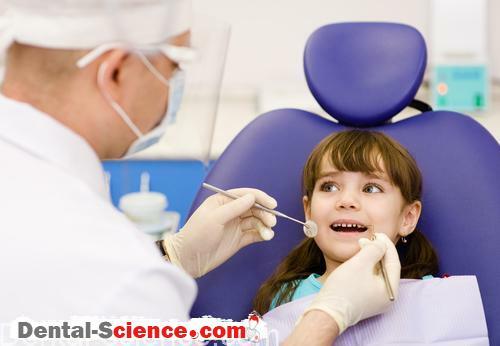 E. Although, the dentist must try to establish communication with the child, usually instructing parents and allowing parents to instruct the child is a better idea. F. The decision of managing them pharmacologically should not be taken in haste. sensory handicaps may allow routine care with a little different approach. Also, it might not always be easy to obtain fitness for general anesthesia for some conditions unless extensive investigations are carried out. Many conservative non-invasive procedures such as restorations and oral prophylaxis do not require them if the child is to be managed in the dental clinic. G. Unless it is an emergency, any procedure (even taking radiographs) need not be attempted in the first visit. It is a better idea to have a final diagnosis after all evaluation of the child’s medical status is done and the decision regarding the use of sedation or general anesthesia is taken. If a child’s abnormality and the dental condition are not difficult to manage in the dental clinic, the dentist must start working on the behavior modification. desensitization can be employed by the dentist. – The parents need to be counseled regarding the difficulties that may be encountered during the treatments. – They also must be told that it may not possible to carry out certain procedures and achieve best results unless (or even if) pharmacological management is chosen. – It is important to understand their expectations from dentistry and they should be given a fair idea about the likelihood of ‘compromised’ results as a possibility, whenever necessary. 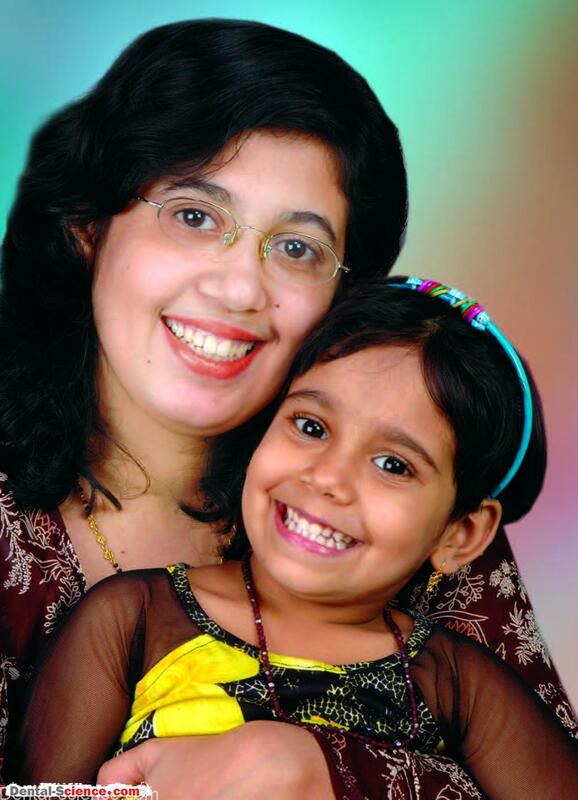 – The approach of parents is of utmost importance in the decision making. – However, they are also worried about the complications of general anesthesia and fear going through fitness assessment investigations that are invasive in nature (such as blood tests). a hindrance in the delivery of care to the child. sensitive to deliver (for example, light cure composite restorations) and some are likely to be associated with risks of bleeding, injury and systemic complications (such as extractions). are difficult for the child to comply and may cause post-treatment complications. – The dental team must be aware of the nature of the child’s disability and the dentist must have suggested them a necessary protocol for the management. A. The appointment for a special child is best scheduled at the beginning of a working session or after finishing the routine work towards the end of a session so as to minimize his/her waiting time in the clinic premises. B. Allotment of extra time: Usually more time would be required to manage a special child and provision for the same must be done beforehand. C. In the initial visits, however, due to the limited attention span of some of the special children, they may become restless in the dental environment in a short time. They may require a couple of introductory visits, modeling sessions before actual treatment begins. The best ‘models’ could be a sibling, a parent or alternatively, a child who is cooperative. D. Use of more working hands: a 4/6/8 handed dentistry should be considered for controlling movements of the child as well as good chair-side assistance. for example, a special child may have to be repeatedly demonstrated (TSD) while introducing a scaler or air rotor handpiece before the child understands and accepts its use. F. Certain materials should be considered over others only due to their time saving properties; for example resin modified glass-ionomer cements could be preferred to conventional glass ionomer cements as the latter may take longer time to set. 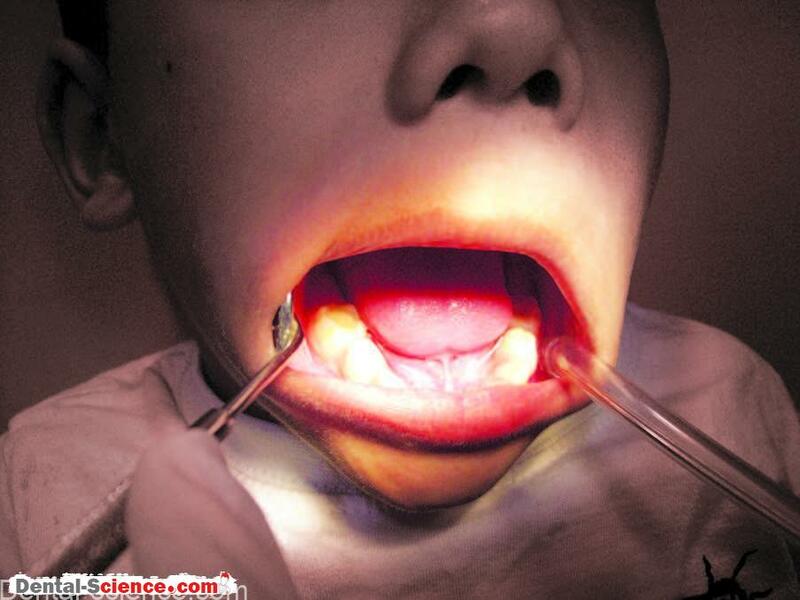 A fluoride varnish could be a quicker and easier method than the gel-tray application for such children. G. The dentist should never take the child’s cooperation for granted. A plan B must be ready, in case the plan A fails. Also, hasty decisions to ‘over’ treat a child than planned for a particular day (on achieving cooperation) should be avoided in the interest of overall treatment and for long-term cooperation of the child. – Working with the Patient in the Parent’s Lap. – Certain children with disability, especially children with Cerebral Palsy are best treated in the parents lap. comfortable on the parent’s lap. – The procedure also actively involves the parent in the treatment of the child and thus reduces the anxiety of both parent and patient. – The presence of the parent also offers the dentist an additional pair of hands to stabilize the patient, thus allowing him to practice “6 handed” dentistry. – Use of Physical Restraints: Though not routinely recommended the dentist has to often resort to physical restraints as a means of managing an uncooperative patient or a patient who is unable to cooperate. – While many of these restraints are either not available in India or expensive to import a wide range of suitable alternatives are available. – A padded board with straps serves as a useful substitute for the papoose board and a sheet with Velcro straps attached works as well as the more expensive Pediwrap™. – Bean Bags are inexpensive and are available readily in India and are extremely useful especially while treating children with rigid muscles as seen in Cerebral Palsy . – The care of individuals with special health care needs raises several legal and ethical issues such as the rights of the patient to obtain care, the question of informed consent, and the duties and legal obligations of the dentist. – Informed Consent :While all individuals under the age of 18 require consent from parent or a guardian, individuals with certain disabilities may require the services of a guardian even after the age of 18. – The National Trust : Act of India states that individuals with Autism, Cerebral Palsy, Mental Retardation and Multiple Disabilities require legal guardians to take decisions for them due to an impaired capacity of these individuals for informed decision making. empowers the Local Level Committee headed by the District Collector to appoint legal guardians for persons with the above mentioned disorders. – Disability Acts Many countries in the world have adopted legislations for the protection and empowerment of people with disabilities. – Though a detailed discussion to such individuals while reducing the discrimination they face. – In India, a large number of acts have been passed to protect the interests of individuals with different disabilities. establishments, the acts do not make them mandatory. Similarly, while the acts call for the equal treatment of an individual, it is not mandatory for a dentist to treat these individuals. – Thus, special care dentistry in India is a field that is often neglected by the general dentist. – The dentist must understand his/her limitations and any heroic attempts to treat the child in absence of necessary cooperation should be curtailed. – A poor quality treatment cannot be justified and only leads to unnecessary repetitive care for the child. – If the child cooperation is not suitable for regular dentistry, either use of pharmacological management is suggested or the child should be referred to an institutional set-up where hospital-based dentistry is practiced.